Please help us choose our Client of the Year. Get You In Shape is giving away of $1000 in cash and prizes and we need YOUR HELP in determining the winner. All of the nominee’s deserve to win. They shared their own personal TRANSFORMATION and their OWN JOURNEY. Each story is sure to help MOTIVATE and INSPIRE you. We ask that you take some time to read each story and help vote who you think deserves to win. Again, we understand that each of these nominees have already won but we do need to choose one winner. Here is What is At Stake and why we need your VOTE! 1st Place Prize – $500 CASH + One Free Month of Cardio Club and more! 2nd Place Prize - $250 cash + One Free Month of Cardio Club and more! 3rd Place – $100 cash + One Free Month of Cardio Club and more! Click on the video below to check out Bethany's journey! I had just moved to Texas in August 2015 for my job - relocating from Wisconsin. My family stayed behind for the first few months and I was living in the hotel. During this time, I had access to unlimited room service and ate that or in the restaurants every night, as I did not have a kitchen. I was working long hours and indulging. When the family finally moved down, my focus became on getting the kids acclimated to their new environment, school, and the transition. I did not put any focus on myself or my health. My baby had just turned a year old (she's my third) and this pregnancy really did a number on my body. Back in Wisconsin I had participated in a boot camp and really enjoyed the group dynamic, the outdoors so I wanted to do something similar to that. 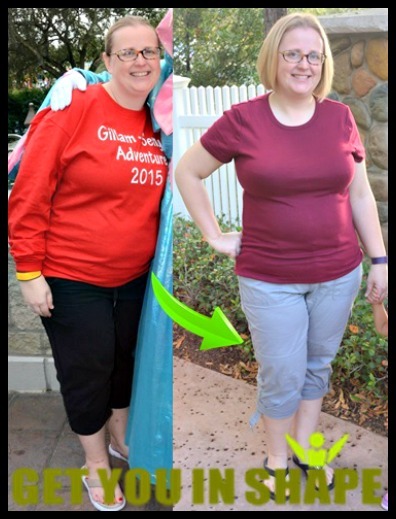 I knew I needed to lose the baby weight and get back to my former self and when I saw the GYIS boot camp on Facebook I thought it looked to be just what I needed. 5:30 a.m. on January morning - it was crazy cold! Cynthia was fabulous and welcomed me to the session, helping with form and answering questions. Everyone was so nice. I was really impressed at the number of people there, of so many varying stages of life and fitness, and all were working hard and having fun. The first few workouts were definitely tough, but I knew that I wanted to continue on. Obviously inches and pounds lost, smaller clothing sizes, etc. But it has also changed my perspective. Initially my "so that" was very physically driven and focused on my clothing and outward appearance. But as I started achieving and surpassing those initial goals, my outlook started to change. It wasn't just about me anymore – it evolved into what type of message I was given to my children – especially my two daughters. I want them to understand, and truly believe, that it’s not about the number on the scale or the size of your clothes. Strong is beautiful, healthy is beautiful. And I want them to know that it is ok to make YOU a priority. A few: first, when I got below that 200 pound mark was pretty great! Secondly, when I was able to buy, and wear in public, clothes in a size medium when previously it would have been an XL. And I was also pretty proud of our initial plank challenge. I went from 45 seconds to 2 minutes in one month - totally proved to myself that it's mind over matter! My work family had no idea when I started this journey that they were going to go on it with me. I needed to make sure I stayed on track, so I implemented a wellness challenge. For three months, two ways to participate: "maintain don't gain" tracking or total fat mass lost. Enlisting the assistance of our healthy coach, we recruited over 40 participants and as a group we lost 143.5 lbs. of pure fat mass in those three months! Since joining GYIS 11 months ago, I have lost 24 lbs. (of which 16 were put fat mass!) and 29 inches. GYIS has given me the tools necessary for me to be successful at this long term. It has made me realize that while working out is great and necessary, that nutrition is truly where a lot of the solution lies and that tracking is an essential tool. GYIS has also helped me to realize my own potential – I now know that I it is possible for me to make this change and for it to be a forever change. For a girl new to a city, GYIS has been a key component to my feeling like this community is my home. I'm grateful to have found it and look forward to being a part of it for a long time. 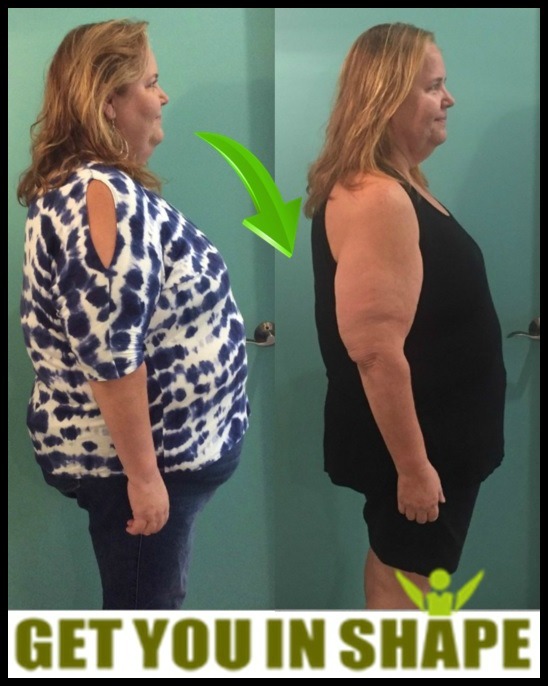 Click on the video below to check out JoAnn's journey! I was fortunate that the timing of my joining coincided with an Advocare 24 day challenge. 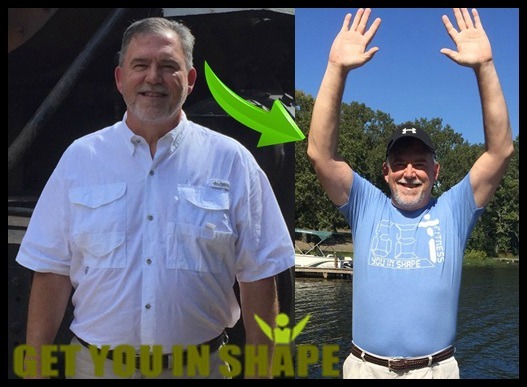 With the Advocare, MyFitnessPal and Lotta checking up on what I posted into MyFitnessPal, the workouts and a 10,000 steps a day commitment… I saw results. 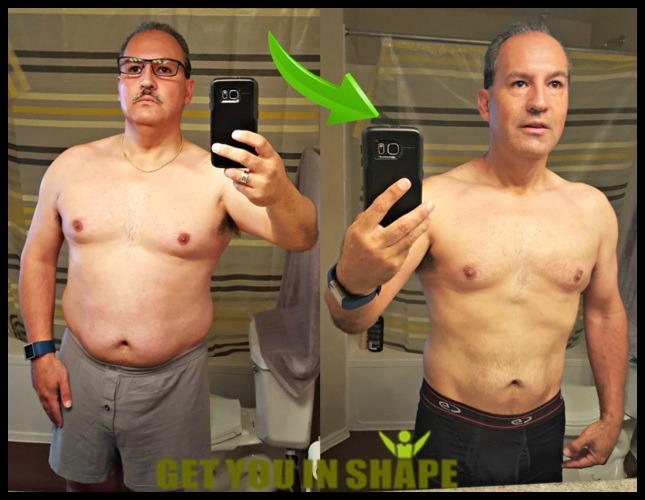 Click on the video below to check out Joe's journey! Before Get You In Shape, I was extremely out of shape, did not sleep much, I did not exercise and most importantly had very bad eating habits. 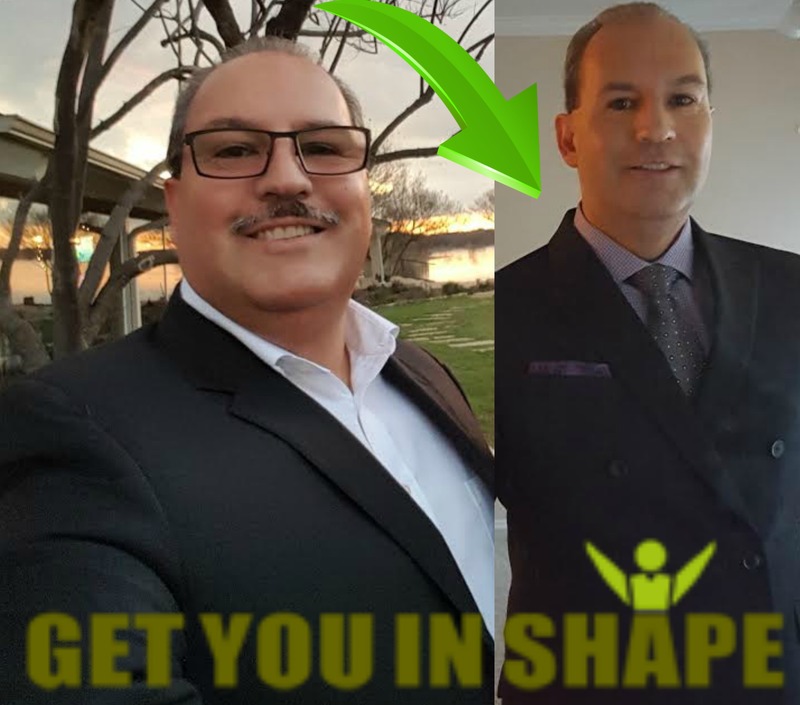 I decided to join Get You In Shape because of a personal crisis that I was going through and my health and appearance was a contributing factor. I decided I needed to make a lifestyle change for myself before I could move on with my new life and so I reached out to Brad for help. My first experience with Get You In Shape was very surprising in the variety of exercises and techniques that are used by the trainers. We did not do the same exercises twice in the first month that I was there. This kept me very interested in the workouts and kept me wanting to attend the sessions. Another surprise was how quickly my body adjusted to the various exercises and running. After just a few weeks, I was able to run and do running man crunches and sit ups. The trainers are very good and provide guidance at every session. 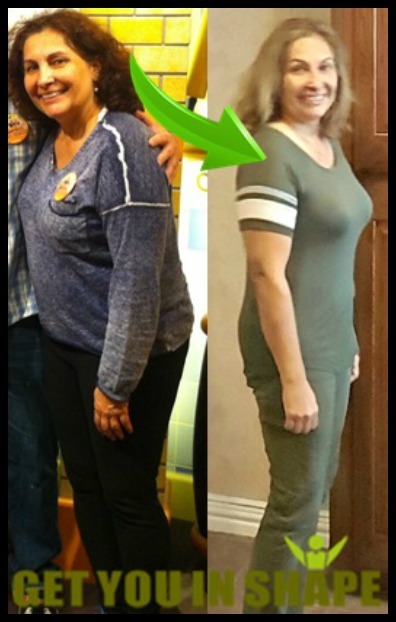 The most important tools that Get You In Shape provided me that was instrumental in my weight loss was the nutrition plan that Brad provided and I followed. By following the plan, I averaged 3 pounds lost per week. In addition, the supplements helped me with my energy and stamina when working out. Also, logging all my food intake on MyFitnessPal in conjunction with my FitBit was very helpful in tracking and monitoring my progress each week. The thing I have enjoyed about Get You In Shape the most is the trainers and staff. 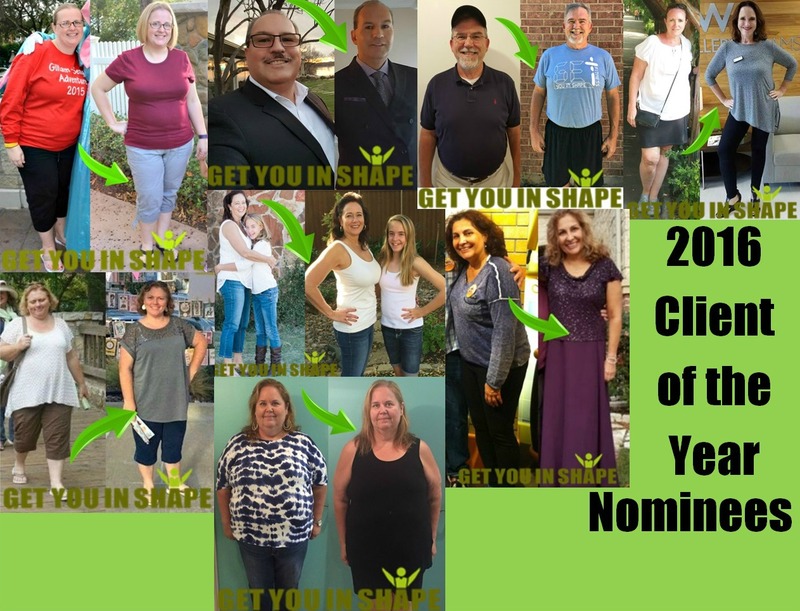 They all are very knowledgeable and work together for a true common goal for everyone and have helped me make a lifestyle change that I was looking for. Because of the trainers and success of the Get You In Shape Program that I have experienced, I look forward to working out regularly. In fact, when I travel, I now run in the mornings because I miss working out. I even ran a 5K when traveling with some friends on a guy’s weekend in California. Before Get You In Shape I would have preferred to sleep late instead of waking up early and exercising. Because of Get You In Shape, I lost over 45 pounds in less than 5 months but most importantly, I am lean and strong at 14% body fat. I have gone from a 41 waist to a 32 waist and 44 Regular to a 39 Slim Suit Jacket. I have not been in this good of shape since I was 22 years old. Get You In Shape has impacted my life in different ways. Not just my health and appearance but in my business. When I walk into a Board Meeting, people have a totally different reaction to me and what I am saying just because of the way I look and carry myself with confidence. Right or wrong, an overweight person in a nice suit will be looked at differently than a fit person in the same suit. Thanks to Get You In Shape, I am that fit person in the nice suit. Since joining Get You In Shape 7 months ago, I have lost 50 pounds and countless inches and went from 38% body fat to 14%. I have since put on 5 pounds of muscle and am focusing on strengthening my body. Because of Get You In Shape, I can eat and drink what I want, when I want to, because I am now in the maintenance phase of the program and continue to make as many workout sessions that I can to continue my progress. Get You In Shape has become a way of life for me. I truly thank all the Personal Trainers and Staff but most importantly Brad for such a great program. 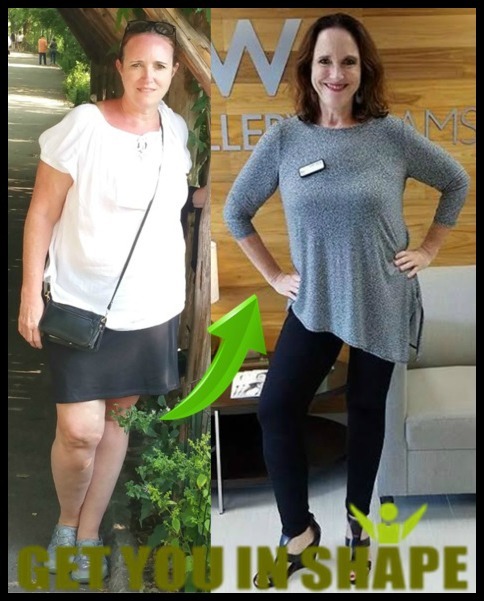 Click on the video below to check out Malinda's journey! I have consistency in conditioning my body. I am physically aware of how my calorie and nutritional intake affect my energy levels, my sleep patterns are improved and I have achieved 50% of my weight loss goal. If I have a bad day, even a bad week, it’s so much easier to keep my goal in sight with the support of the Get You In Shape family. Wrist and elbow pain is gone. Sciatic nerve flare-ups are improved. I smile more; I have more days with pep in my step. My love life is better because I feel better about myself. I am physically stronger and have lost weight. I recognize that this is a life long journey and a large part of the road I travel is taking time to put “ME” first so I am able to also do good for others. In the last six months, by consistently working out, being conscious about my eating, by utilizing My Fitness Pal, I have lost 19.2 pounds, 20.25 inches, PLUS . . . I can run a mile in 11:40 (shaving a 1:10 off my time since I began in March--& I hate to run)!! I can now do 38 real push-ups! Click on the video below to check out Mona's journey! It wasn’t as scary as I thought it would be :). EVERYONE was very welcoming and I never once felt like I was slowing anyone down or that anyone was looking at the heavy girl trying to work out. I was very pleased!! I like the variety of the workouts and I love that you don’t have to be in the best shape to do the work out. There are always modifications and no one cares if you are doing the modifications… they just want you moving :). Get You In Shape has been such a major part of my weight loss journey. I had been going back and forth losing 5 pounds then gaining it back. My one consistent has been GYIS and the support I received from the trainers and community be it monitoring my tracker, sending notes or just generally being happy that I am losing weight. I have had people that I have never met tell me good job and even comment that they noticed that I was losing weight… for me this is such motivation to continue the journey. 2. When I ran into a friend recently and she couldn’t get over how toned and great my shoulders looked….no one has ever said that to me :). 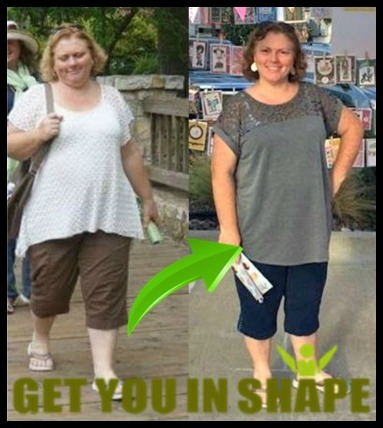 Click on the video below to check out Robin's journey! Robin McCoy is a Realtor with Keller Williams and she lives in Coppell, TX. 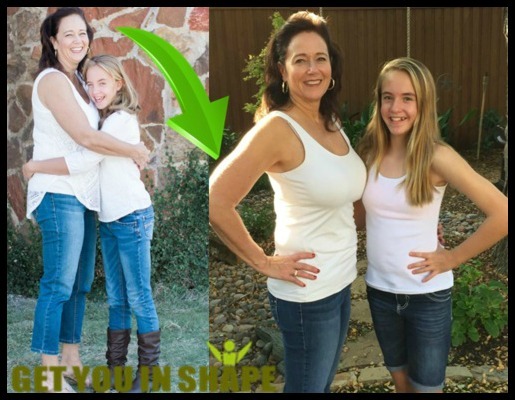 She has been with Get You In Shape for 1 year. The Group Personal Training sessions and Cardio Club in combination has been what has propelled me. The consistency of the two has kept me on track all year. The challenges help because it helps me to refocus on what I need to focus on...primarily nutrition and eating good foods. My friends! I have met some of the most wonderful people in this program. Everyone supports one another...trainers, owners, other boot-campers….This is probably the strongest tool I have used. I am working on every part of my body...not just cardio. I can see differences in my strength and how my body actually looks and feels and functions. I am now one of those people that work out on vacation, get cranky if I miss my workout session, get up before dawn to run, and am considering doing a tri next summer. I realize the things I am capable of...a year ago if you told me I could run a mile I would have laughed at you. Now, because of the GYIS group and experience I am planning a 100k walk across Northern Spain in 2018...The Camino Primivito. Too many to name….Realizing I can pull myself up on the equalizer, that I can do push-ups, getting under 200 pounds again, trying on clothes in my closet and zipping up a Size 10. When you are doing an exercise at the fitness sessions and you suddenly realize you have advanced; planks off your knees, heavier med balls…. I am happier! I sleep better! I am able to find the things that have propelled me in my health journey to other aspects of my life...attaining goals, not fearing the next step, going where I haven’t gone before. I am calmer...my workouts set the tone of my day. If I miss for any reason I am off kilter the rest of the day. The less obvious and most important benefits are how I am happier and more positive each day. How I crave the work out...It comes first. How I have met friends and supporters that I never would have met. How I can see the possibilities rather than the limitations. Click on the video below to check out Sam's journey! The amazing results that I have achieved in just a few months. The instructors knowledge and people skills. The workouts are different each and every fitness session. I’ve lost weight, I’ve gained muscle and my A1C has dropped from the high 9’s to the low 7’s, which is almost normal. My doctor stated that it’s one of the biggest A1C drops he’s seen. He’s very happy that I joined Get You In Shape! 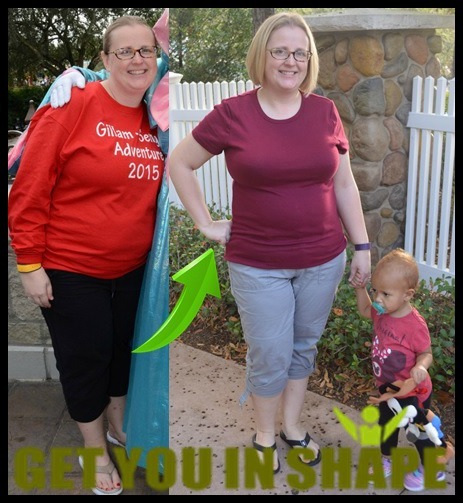 I began a Challenge program about a week after joining Get You In Shape. The challenges are a great boost to your regular routine and really jump started my progress. I also drink the Advocare Protein Shake every day for breakfast. It’s a tasty and filling “treat” to start out my day. I’ve yet to do the Community 5k, but that is my long-term goal! I use MyFitnessPal to log my food and exercise. I had been doing this for years in an Excel spreadsheet but MFP is so much more effective, easy to use and I actually enjoy having to log my food and exercise now. I like the Facebook pages as well for information, and motivation from fellow boot-campers. I am making much better choices for myself now. It’s been more of a lifestyle change than a quick fix, which is what I wanted and needed. I’ll now park my car at the farthest spot and walk instead of searching for a spot closest to the entrance. Before I would always be asking my family to get or do things for me instead of doing it myself, I was depressed, short-tempered, generally a not-very-nice person to be around - all of this simply because of the excess weight I was carrying around with me - I was constantly tired. Now I feel energized; I look forward to my day! I can enjoy working in my garden. I can take my dogs for a walk. I enjoy time together with my husband and daughters. I’ve made wonderful friends within the group who understand the challenges we’re facing together so I don’t have to worry about someone sabotaging my progress or leading me off track. Not only am I eating healthier but so is my family. Better choices all round. With less weight having an impact on my knees, I’m now able to do short distances at a slow-jog pace - I could barely walk the same distance when I began Get You In Shape. I’ve started walking with some of the other boot-campers on Thursday mornings – last week we walked 5.6 miles and I felt fantastic afterwards! Vote Below For Your Top Choice! All of the nominee’s deserve to win but we are giving away over $1,300 which means we do need to come up with a winner. They all shared their own personal TRANSFORMATION and their OWN JOURNEY and we just want do know who's story hit you the most. Vvoting who you think deserves to be the 2016 Client Of The Year. Don't worry...we hate Spam too. Your contact information will not be shared. As an added bonus, you will be added to our weekly tips and Challenge of the week list.